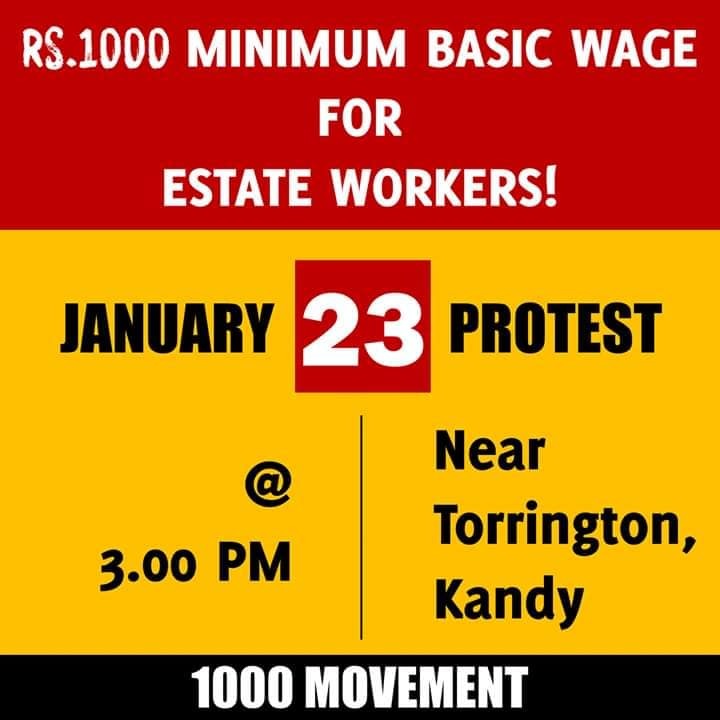 The Thousand Movement, a collective of unions and grassroots activists who want to increase the daily basic salary of an estate worker to Rs. 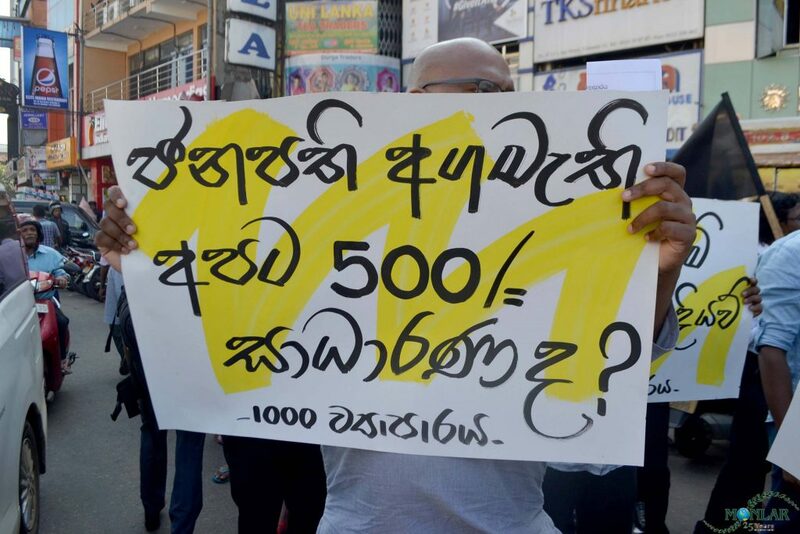 1000, held demonstrations in 30 locations country-wide calling on Plantation Companies to grant the just demand, Chinthaka Rajapakshe, Moderator of the Movement for Land and Agricultural Reform (MONLAR). 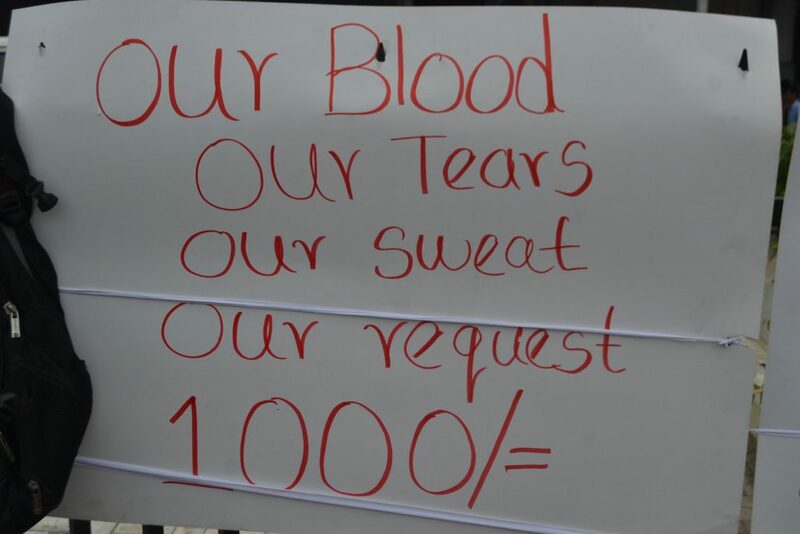 The demonstrators also requested the three major estate sector unions, Lanka Jathika Estate Workers Union (LJEWU), Ceylon Workers’ Congress (CWC), and Joint Plantation Trade Union Centre (JPTUC,) that sign the Collective Agreement with the Ceylon Employers’ Federation (CEF), representing the Plantation Companies to not reach a fresh agreement until the Employers agree to pay Rs 1000 as the daily basic salary of workers. “From what we know the CEF wants to increase the basic salary to Rs. 625 and the three unions want to increase it to 675. Both are not acceptable to the workers. We also want to apply pressure on the three unions to hold the line,” he said. Rajapakshe said that most Plantation Companies made significant profits but they portray themselves as loss making concerns. “A few months ago CWC held a seven day protest during the political crisis in the country and the CEF stated that the plantation companies made a loss of Rs. 1.75 billion in those seven days. In other words, these companies make Rs 250 million a day. Thus it is impossible for them to make losses. Moreover when tea prices are low the government gifts them massive amounts of money as subsidies, so they are always in the green, so to speak,” he said. Collective agreements between CEF and plantation sector unions are signed once in two years. The daily wage of an estate sector worker was increased to Rs 500 in the agreement signed in 2016. Another Rs 230 is paid as an allowance for workers if they fulfill certain criteria. “For example a person needs to report for duty 75% of the time to get the allowances. There are around 147 000 estate workers and almost 60% don’t report for duty 75% of the time. Moreover EPF and ETF is calculated on the basic salary. Recently researchers from the University of Peradeniya found that Rs 27,707 is needed per month for one person in the estate sector to meet his or her basic needs. But on average these workers get paid less than Rs. 8000 a month,” he said.